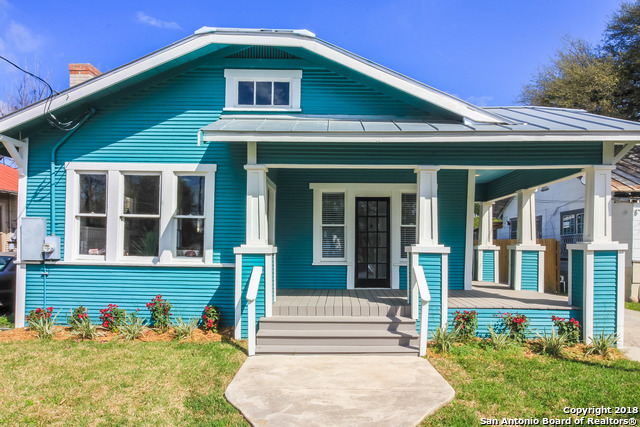 All Tobin Hill homes currently listed for sale in San Antonio as of 04/24/2019 are shown below. You can change the search criteria at any time by pressing the 'Change Search' button below. "Located minutes from The Pearl! This four story, energy efficient steel home features Ring doorbell, hardwood laminate flooring throughout, nine foot ceilings, 5.1 surround sound in family room. Kitchen is equipped with Bosch stainless steel appliances, kitchen island and custom cabinets! Breathtaking views of The Pearl and downtown on the roof top deck! 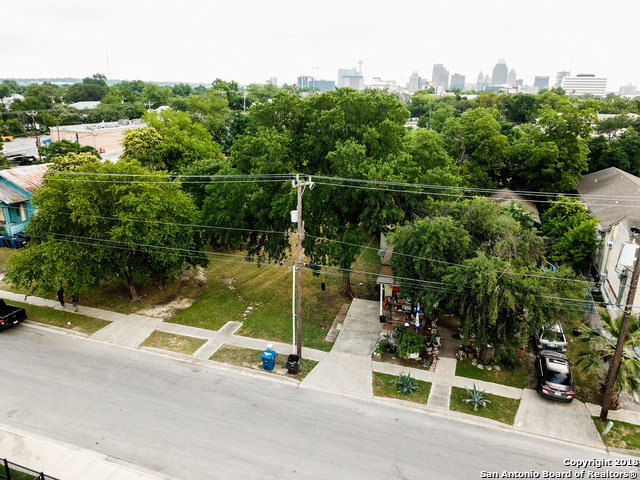 Enjoy the outdoor kitchen with family and friends equipped with a kitchen aid grill, fridge under the counter and an amazing recycled glass cou"
"Realize the dream of a walkable, urban lifestyle in the heart of San Antonio's beloved Pearl District! New fantastic boutique townhome community exclusively designed by Alamo Architects 2 blocks from Hotel Emma. Open concept floorplans, Pella windows, hardwood flooring, integrated elevator option, high ceilings, energy efficiency. Gather on the rooftop deck to enjoy spectacular downtown views! Visit our showroom to discover the possibilities. New construction underway with estimated completion F"
"Brand New Townhome in Cool Urban Living location, walking distance to the very sought-after The Pearl. Top of the line Unit ready for you TODAY! 2 Bedrooms plus a Study or second living area. 1st-floor guest bedroom w/full Bath. 2nd floor is Open area with Living, Island Kitchen, Dining and Full Bath. 3rd Floor has MasterBed and Study/Living Room. 2 Balconies off the 2nd floor and the Master Suite Plus 2 Car Garage. Just Perfect!" "Realize the dream of a walkable, urban lifestyle in the heart of San Antonio's beloved Pearl District! New fantastic boutique Townhome community exclusively designed by Alamo Architects 2 blocks from Hotel Emma. Open concept floorplan, Pella windows, hardwood flooring, integrated elevator option, high ceilings, energy efficiency. Gather on the rooftop deck to enjoy spectacular downtown views! Visit the showroom to see the possibilities. New construction underway with estimated completion this Fa"
"Enjoy historic and charming neighborhood in a new construction home. 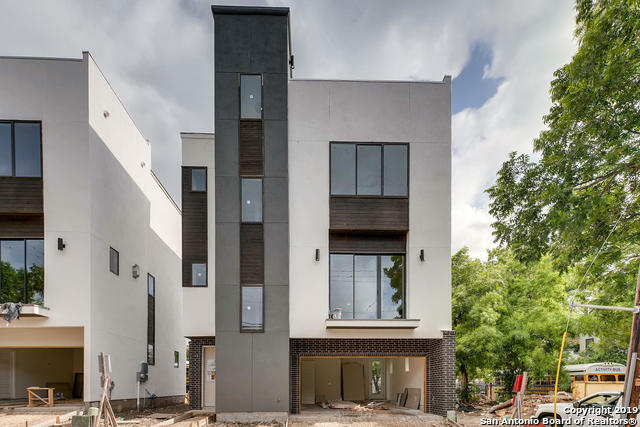 This modern, spacious 3 BR, 3.5 bath townhome has it all - fireplace in LR, expansive master BR with soaking tub, 14x7 master closet, two car garage, large roof top terrace with optional outdoor kitchen. Low-maintenance yard. Only two townhomes being built and no shared walls. Five minute drive to Pearl Brewery and downtown. Photos are representational. Will be complete by June 2019." 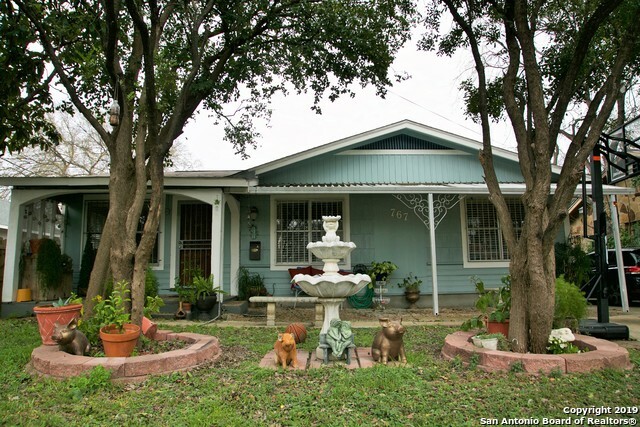 "Beautiful historic home in Tobin Hill close to The Pearl w/vintage touches & updates galore! Original pocket doors, stained glass, hardware. Sprawling front porch. This home boasts wood floors, 5 fireplaces, family rm, living rm/flex rm. Updated island kitchen w/gas cooking, stainless appliances, granite counters throughout, tile floor & subway-tile backsplash. Plantation shutters. Clawfoot tub, tile floor, marble shower. Downtown view from 2nd floor porch. 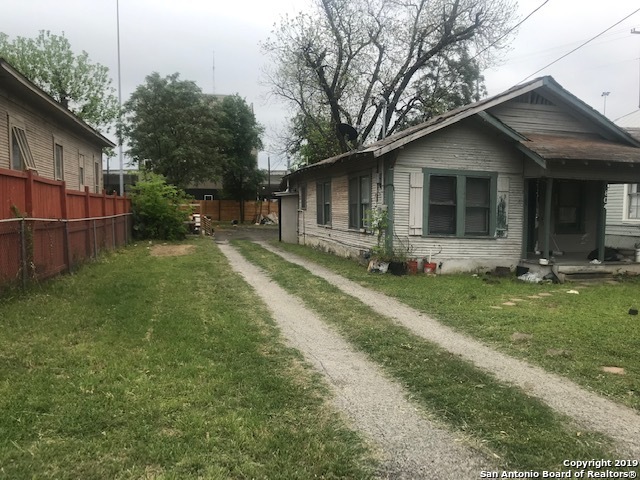 3 car carport on alley w/electric gate"
"Located by Pearl Brewery, Museum Reach, St. Mary's Strip + San Antonio River - LAST remaining corner unit at Proximity Townhomes (14 townhomes total). The Entertainer floorplan offers 3 beds/2.5 baths, 1,541 SF, with a rooftop terrace overlooking Downtown skyline + Pearl Brewery, wet bar, + sleek/contemporary finish outs (including Silestone Countertops, Bosch Appliances, etc.). Units include 2 car garages + individual yards. 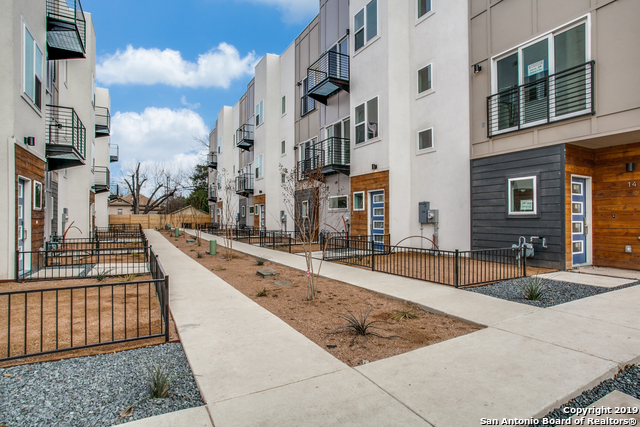 Proximity includes a dog park, community courtyard, + secured access." "Good size home with large pool and just one block from the Pearl Brewery. Owner says home is actually 1,885 Sq.Ft. with inclusion of detached quarters and other enclosure. Come see, Relax and walk the river, have fun, entertain, or rent quarters based on demand of the area. Enjoy all the downtown amenities to large to list. Hurry, and step into the growing downtown." "2 units left! 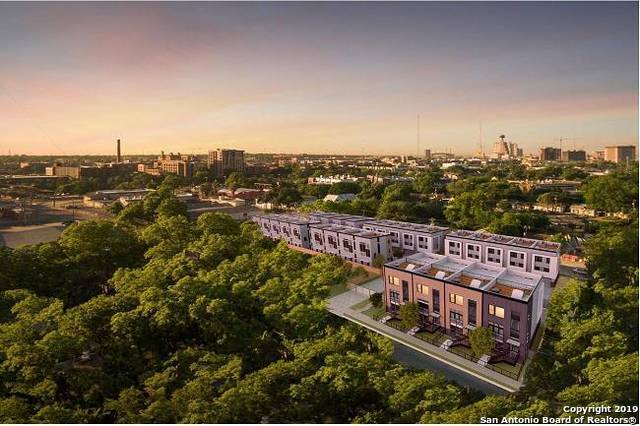 New construction townhomes in San Antonio's emerging urban core. The Entertainer floorplan offers 3 beds/2.5 baths, 1,541 SF, with a rooftop terrace overlooking Downtown skyline and the Pearl Brewery, bonus wet bar, and sleek/contemporary finish outs (including Silestone countertops, Bosch Appliances, Kichler Lighting, Kohler showers, etc.). All units include 2 car garages and individual yards. Proximity includes a dog park, communal courtyard, and secured access. Premier Location "
"NEXT TO PEARL! RENOVATED! Completely updated with new AC, metal roof, granite countertops, stainless steel appliances, secuirty system, ect! This beautifully restored historic home next to the Pearl Brewery includes original hardwood floors, NINE foot long custom kitchen island, stunning designer lighting, & original windows, big open floor plan, huge covered porch, big laundry & mudroom and large master bedroom, bathroom, and walk in closet with access to the back deck for entertaining in the b"
"THIS GORGEOUS HOME IS FEATURED ON THE OFFICE OF HISTORICAL PRESERVATION PAMPHLET! LOCATED IN THE HISTORICAL DISTRICT OF TOBIN HILL. THIS BEAUTIFUL HOME OFFERS 2 BEDROOMS WITH 1 BATH IN FRONT HOUSE . LOVELY ORIGINAL WOOD FLOORS, SPACIOUS AREAS, TWO SEPARATE EATING AREAS. SPACIOUS BACK APARMENT WITH ONE BEDROOM ONE FULL BATH CAN BE USED AS MOTHER IN LAW SUITE, COME OUT TO TAKE A LOOK!" "This amazing home in Tobin Hill is ready for its new owners!! 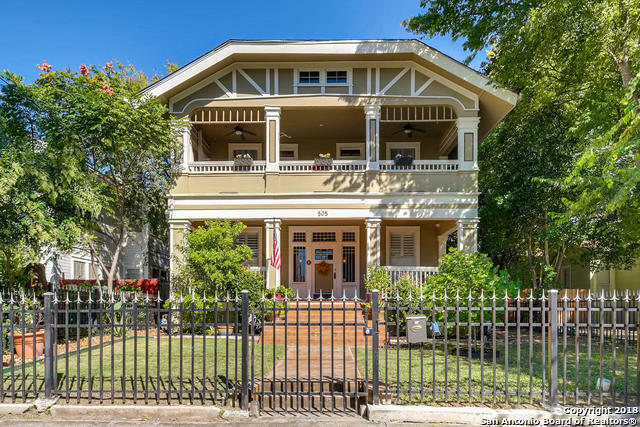 Within walking distance to the Pearl and the Hotel Emma, this charmer has a great feel in this Historic area. The open-concept kitchen, dining, and living area make entertaining a must. Hardwoods and expansive granite are prominent in this home that is within a scooter ride to downtown and the Riverwalk. Be sure to check out this amazing property today!" "Newer construction in Tobin Hill. Modern amenities in this historic neighborhood including enclosed garage. Private backyard with lush landscaping and gazebo. Open floor plan features wood floors, plantation shutters. Kitchen with breakfast bar, granite, stainless steel appliances with lots of counters and cabinets, walk-in pantry. 2 master bedrooms with full bathrooms. Front master has private porch overlooking the neighborhood. Water softener. This home is ready for immediate move in." "House is likely a tear down. Demo approved by Historical Preservation committee (attached) tons of development around this house. walking distance to St. Marys and the pearl. Huge lot, with survey attached"
"LOCATION!LOCATION!!LOCATION!!! 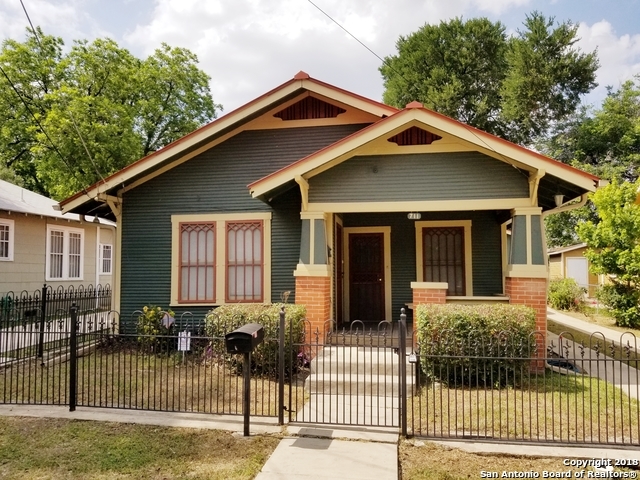 Huge investment potential for home located in the very desirable Historical Tobin Hill District sitting on almost 1/4 of an acre. 1 bed 1 bath separate dwelling unit in the back. New home development directly in front of this property. So many possibilities! Walking distance to The Pearl, Downtown San Antonio, The SA Museum of Art, St Mary's Strip and San Antonio College. Do not miss out on this rare opportunity!"